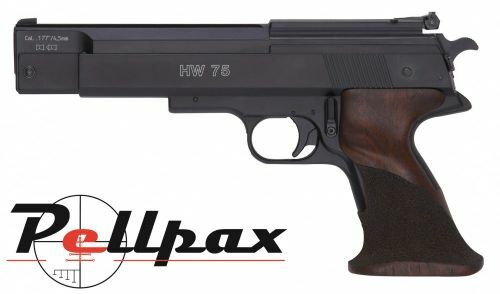 The HW75 is the perfect target shooter with an exceptionally well made barrel and German engineered internal to provide the ultimate level of consistency between shots. The ambidextrous grip is beautifully shaped to be both comfortable and secure and the completely recoiless action aids accuracy by not throwing your hand off between shots. The single stroke pneumatic action of the HW75 is crisp and reliable and eliminates the need to purchase extra bottles of gas or CO2. Add this item to your basket & spend an extra £140.01 to apply for finance.